Star Wars Battle Cries: Creatures vs. 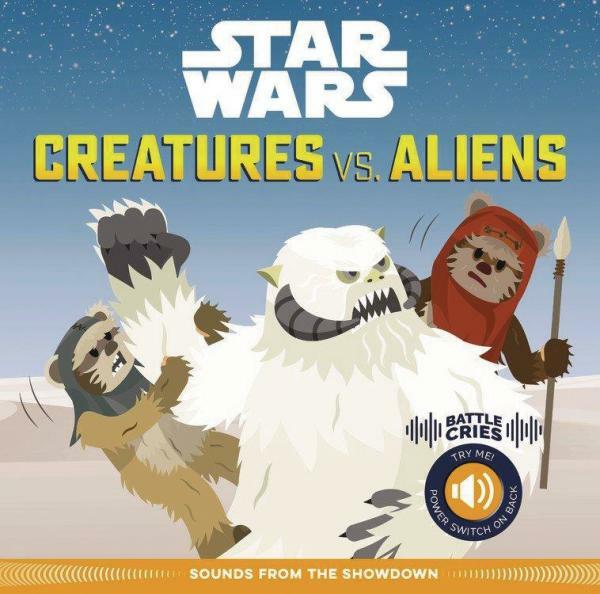 Creatures is an interactive sound book that prompts imaginative play with realistic Star Wars sounds. Can a Wookiee defeat a Sarlacc? Would a band of Ewoks defeat a Wampa? With bold, original illustrations, each spread lets readers delve into infographic-style facts about each character. Then pit one against the other in five epic hypothetical battles, complete with each character's signature sound effect. Who has enough brains, brawn, or cunning to win? Decide for yourself!